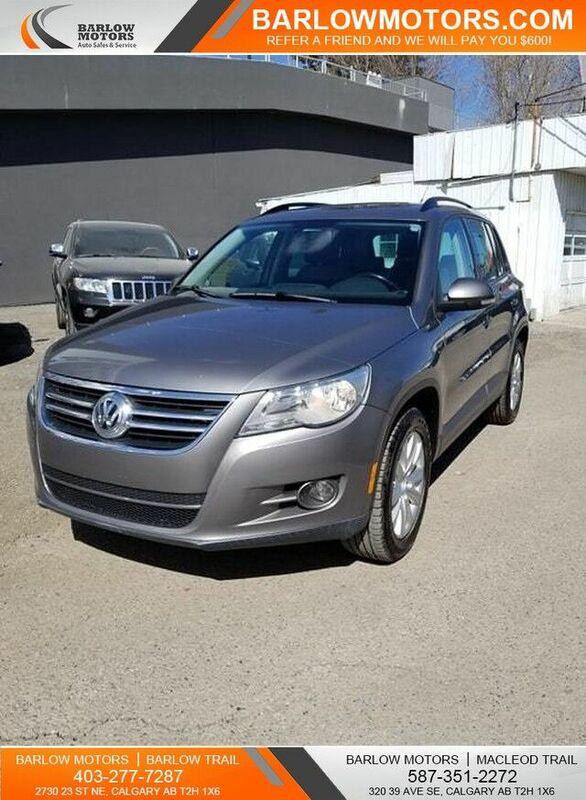 Barlow Motors is honored to present a wonderful example of pure vehicle design... this 2009 Volkswagen Tiguan Trendline only has 120,000km on it and could potentially be the vehicle of your dreams! The Volkswagen Tiguan Trendline offers a fair amount of utility thanks to its advanced features and unique styling. It's also quite sporty, and injects an ample amount of handling chutzpah into the ridin'-high body of a family-friendly SUV. Comfort. Performance. Safety. Enjoy all three with this well-appointed AWD 2009 Volkswagen. It's not often you find just the vehicle you are looking for AND with low mileage. This is your chance to take home a gently used and barely driven Volkswagen Tiguan. This is about the time when you're saying it is too good to be true, and let us be the one's to tell you, it is absolutely true. Come see Barlow Motors' quality used cars, trucks, SUVS, vans, luxury vehicles and more. Apply today, drive today. Financing available on all pre-owned vehicles!